lisamarcia.com: "We've Got a Once in a Lifetime Love"
"We've Got a Once in a Lifetime Love"
I am so excited! I got the privilege of seeing Keith Urban live in the pit about 4 years ago. To this date it was the best and still is the greatest concert I've even seen. The lighting, the sounds the ambiance of the night, it was insane (and that's probably an understatement). Steven and I have dreamed of going to another concert of his, but tickets got out of control expensive and we thought we'd better save our money because the seats we wanted would have been around $500. So, we waited and waited. Then randomly one day a friend of ours who owns a box at the Staples center offered us tickets! WHAT?! 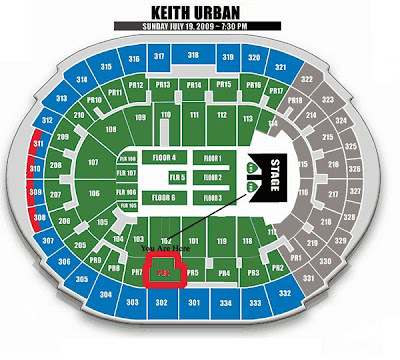 A box seat at the staples for a Keith concert. Yes please! So, needless to say I'm a little excited....and I can't hide it. Video and pictures to come!